MAC Diwali Haul: Retro Matte Lipsticks, Pro Long Wear Paint Pot and Brushes! Since the Retro Matte range launched I had been eyeing couple of lipsticks but as usual they were out of stock in all the MAC stores here. Hence decided to pick them up from KL.....of course Mr D came to rescue and as always got the stuff within a month! So what all did I get? Couple of lipsticks from Retro Matte range Flat Out Fabulous (absolutely love purple toned pinks!) and All Fired Up (Truly breathtaking color! ), also picked up MAC Pro Long Wear Paint Pot in Layin' Low..had been eyeing this one since the Fafi Collection, so glad MAC made it permanent! Also got MAC Fix+ mainly to use with foundation and eyeshadows and few of MAC's LE brushes MAC 227SE perfect for applying a wash of color all over the lids, MAC 212SE a must have for applying eye shadow on the lower lash line and finally MAC 275SE for defined application in the crease..not a must have. Hope liked the haul, do let me know if you would like any of the products to be reviewed first. Until then enjoy the pics! Have a wonderful weekend everyone! Until next time take care and stay beautiful! Lovely haul Parita...loved both the lipsticks...me too love love love purple toned pink lipsticks a lot. lovely haul Parita...all fired up looks great! Its a gorgeous shade! Hope you get it soon! Thanks Bee! 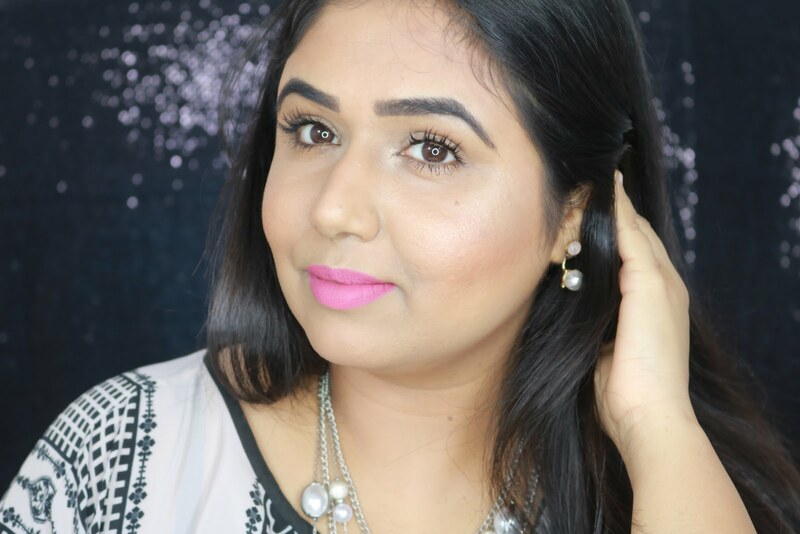 you should definitely check out the paint pots and retro matte if you love matte lipsticks! Wow awesome Mayuri! what's your shade? The lipsticks looks beautiful Parita. I have used MAC Fix + in the past and really did not understand the product... Look forward to see your take on it. Thanks Supria...I totally agree its a bit confusing product but have heard so many ways of using it...will definitely share my views once I experiment with it for couple of months!